Rosa grew up an orphan in a remote, watery island fastness on the wild East coast of Yorkshire. Taken in as a small child by the motherly Mrs Drew, she realised as she grew up that this large and seemingly close farming family contained many troubled souls. Mr Drew, whose religious fervour held a dark secret; Jim, the eldest son, who was terrified of something from his past; Delia, longing to escape from the island; and tall, handsome, confident Matthew, who wanted only one thing - Rosa herself. But Rosa's background was one of mystery. 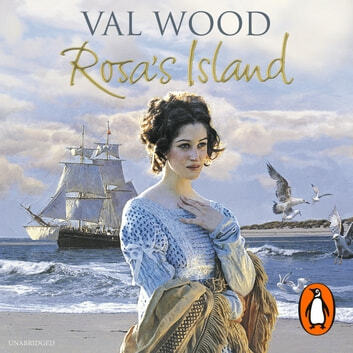 Her mother, before she drowned in the dyke near their home, had always promised that one day Rosa's father would return to her - a handsome Spaniard, with jewels and silks in treasure chests, sailing in on a ship with golden sails. Mr Drew knew the secret of Rosa's past - and so did the two mysterious Irishmen, who came back to the island after many years and who threatened everything which Rosa held most dear. Other novels by Valerie Wood include: The Hungry Tide, winner of the Catherine Cookson Prize for Fiction, Annie, Children of the Tide, The Romany Girl, Emily, and Going Home.